MP4, compared with MOV, which has been developed well with more operating systems, it is used widely for videos playback. Converting videos from MOV to MP4 can bring you a lot of convenience when you are enjoying them. 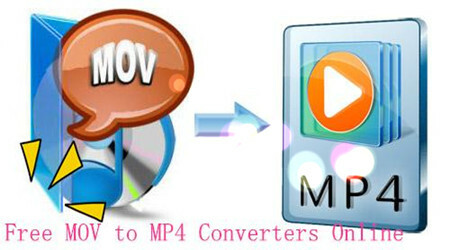 Here are several free online programs to help us to convert MOV to MP4 easily and conveniently. This free online file converter lets you to convert media easy and fast from one format to another. You can rely on it to convert MOV videos to MP4, as well as AVI, FLV, MPEG, WMV, WEBM. Cons: You can only convert one video each time. Pros: This program supports to change video’s screen size, bit rate, file size, as well as crop video. 1.Select MP4 as the target format to convert to. 2.Select MOV video files to upload, here you have three options – upload video from the folder on the computer; enter URL; select a file from cloud storage. 3.Click “Convert file” button below Optional setting to get converting MOV to MP4 free started. 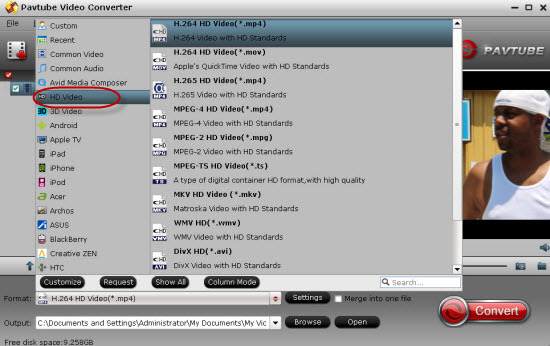 4.When the conversion is finished, the converted video will be downloaded, and you can save it in a preferable folder. Youconvertit is another free online program to convert videos from MOV to MP4. It is very easy to perform as well. Cons: Requires to enter email address to receive converted videos. Pros: Supports to share converted videos on social networks; Supports to convert several videos simultaneously. Select file you wish to convert. Enter email address to receive converted video files. Here you can enable files to be shared on social networks. Hit “Convert it” button. Then you will be informed to purchase storage space, you can skip this step if it is not necessary for you. Convert Files is another free video converter program to offer converting service. It supports to convert videos (MOV included) to VOB, AVI, MP4, 3GP, MPEG, FLV, WMV, etc. Cons: Only supports to transfer one file one time. Pros: Easy to operate; supports to convert over downloading. Choose a local video file or download one via pasting URL. Specify MP4 as the output format. Click on “Convert” and you can see the process of uploading at the bottom. This is the second free online video converter MOV to MP4 to be introduced here. Cons: Require to enter email address to receive converted videos. It is a little confusing where the converted video files are located. Pros: It supports to convert multiple videos at the same time. Select files to convert: choose files from targeted folder or drag files. Choose MP4 as the format to convert to. N°1 Free online Video Converter is a free program that will provide video converter service to transfer MOV to MP4. Pros: Service are available in different languages; Supports to convert videos over downloading. Cons: Only allow you to convert one video each time; some users complain that they often come across connection error after pasting URL; the operation is a little complicated. Select your location. This program offers service on the basis of users’ locations: United States of America, France, United Kingdom, Deutschland, Rest of Europe, Rest of the world. Select the application of your choice. Here you can choose the option of “to avi, mp4, flv, mov…”. Paste the URL of the MOV video and click the Next sign. Select MP4 as the format to transfer to and tap on the Next mark. When the video is converted successfully, you need to download the converted video file. 6.6X faster conversion speed to save much time of waiting. With several simple conversion steps, we can easily convert the MOV to MP4 with a faster conversion speed and high original quality preserved. Download and install this program according to its instructions, when the main interface pops up there, just click the ‘Add files’ we can load them in. Then come to the output list, no matter for editing tools, media players, or handle devices. You can find all there. Only for converting the MOV to MP4 with higher quality? Find the ‘HD Video’ column and click the ‘H.264 HD Video (*.mp4)’ is okay. Finally, go back to the main interface, hit the ‘Convert’ icon if you have done all the preparation work. To easily convert MOV to MP4 for more operating system and play well with various media players, Pavtube studio can help you a lot! Just try it! Conversion: All the online video programs are so popular for us to convert all MOV files to MP4. On the other side, each one has its own limitations, if you are confused with one of them, just try the last professional video converting assistant to ask for help. Just enjoy yourselves!